Provides long life protection in GM and Asian-made vehicles. Zerex DEX-COOL is GM approved and provides protection for up to 5 years / 150,000 miles. 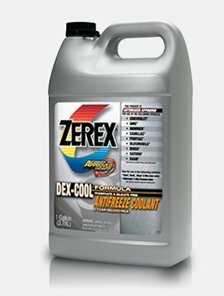 DEX-COOL helps prevent boil-overs and freeze-ups, protects all cooling system metals including aluminum and is also available for purchase in 55 GAL drums.